Every year almost 120,000 Mint Juleps are consumed at Churchill Downs at the Kentucky Derby! Celebrate this decade’s long tradition by sipping on some tasty Mint Juleps while watching the Kentucky Derby at your favorite Valley hot spots. Get ready for the fastest two minutes in sports with Kelly’s at Southbridge! On May 7th, stop by their viewing party and enjoy classic Jim Beam Mint Juleps and refreshing champagne while you cheer on your favorite horse. Don’t forget to come dressed to the nines! Kelly’s will be giving away prizes for the best Kentucky Derby inspired hat. Celebrate the Kentucky Derby like a Kentucky local at Tilted Kilt Tempe! 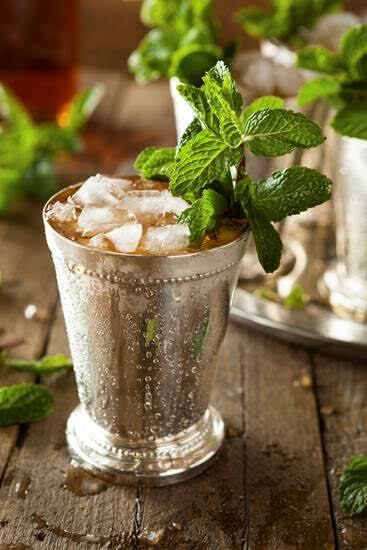 Enjoy a refreshing Mint Julep made with Jim Beam Black and fresh mint leaves served in a double old fashioned glass for most festive Kentucky Derby drink around! Stick around after the race and enjoy some delicious Tilted Kilt treats like the new Wicked Boston Burger and their world famous wings.